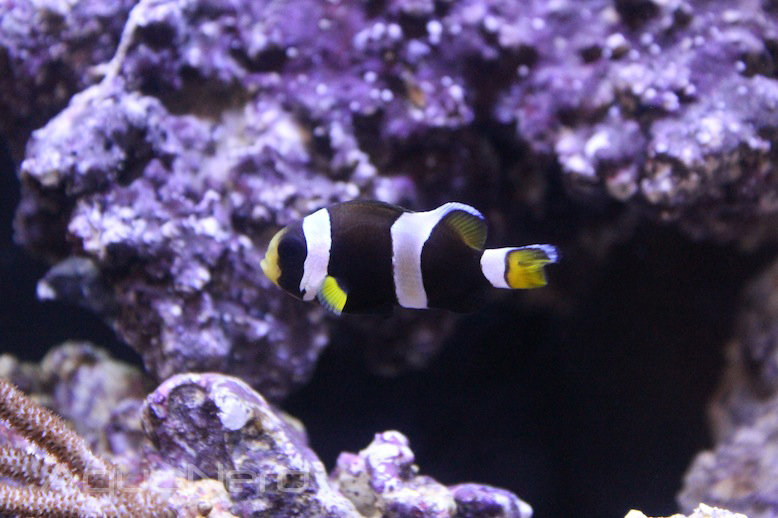 Sustainable Aquatics, one of the heavy hitters in the marine ornamental aquaculture side of the industry, is vastly expanding their lineup and one of their latest offerings happens to be captive-bred Amphiprion latezonatus clownfish, also commonly called wide-band clownfish. These latz clowns will be offered in both a fully barred wild-type variety and as a misbar, though with this species the wild-type happens to be the more popular of the two. Pricing will be as such that the fish will be an attractive captive-bred purchase, and at the retail price points the clowns are expected to be around $100. Of course, that’s all dependent on the shop that’s selling them. We find the preference by the aquarium community for the more natural looking clown to be both interesting and contradictory to current trends in the hobby because hobbyists, by and large, pine over the oddest looking clowns available, hence the Picasso and Snowflake variants that are so widespread. But the reason why the wild-type latz clowns are so popular is due to the fact that they still possess the wide middle bar, which is where the clown gets its name. It would almost be pointless to own a wide banded clownfish with thin bands. But I digress. These Australian endemic clowns have been quite popular in the trade for years, though in the beginning they were extremely hard to come by and were usually only imported as adults. Unfortunately, those wild fish never did well in captivity, especially since they were showing up as adults that couldn’t adept well to aquarium life. Luckily for the hobby, Karen Brittain broke down the latz clownfish barrier in the late 2000’s when she had tremendous success in breeding the rare fish. That success has obviously permeated the hobby, and more captive-bred latz clowns are on the way thanks to Sustainable Aquatics.